Zimmerman can't prove his version of events (if he could he'd have tried for the waiver). That's really all there is to it, from a legal perspective. Things may have changed since 2008, but last I heard, burden of proof is on the prosecution. yup. It's nice to have very few witnesses when you kill someone. Zimmerman admitted he shot the kid: what else do you think they need to prove? It would be a fucked up world if you can go around shooting people and all you need to do to avoid a conviction is say: "he made me do it". Unfortunately that is exactly the kind of insanity which industry lobby groups like the NRA are encouraging. PS: maybe we need a topic split since we've gone off on a tangent from the OP. the problem is that he claims self defense AND he was legally walking/driving around with a firearm. As far as I can see the problem isn't Zimmerman, it's american insanity. In any sane place, if a guy drives up to another person (not disputed), gets out of the car voluntarily with a firearm (not disputed), confronts another unarmed guy (not disputed) and the other guy ends up dead, he would be charged. Not so in freedomland. As is clearly evident, the solution (at least for Martin) would be to have had a gun. If he had been walking around the neighbourhood with a gun (as recommended by the NRA), this* possibly would never have happened. * "this" = this exact piece of violence. Possibly Zimmerman would be dead though. Also not good. Conveniently, only Zimmerman knows exactly what happened and no one can really dispute his claims. OK no-one can dispute them but they don't have to. He shot someone and if he can't prove he had a good reason to do so (is there ever a good reason...) he'll be convicted. His only ray of hope is that a jury is always an unpredictable element in the equation. However, they will know that he didn't appear confident enough in his own story to try for the waiver, that he failed grievously to act as a neighbourhood watch guy was supposed to act, that he refused to follow police instructions, and that Trayvon Martin was not engaged in criminal activity. He was just a kid returning home from a local shop. Any suggestions for BK's new avatar? Amazing how you just won't get it. HE does not have to proof ANYTHING. The prosecution has to. That's still the way it works and it should never ever be the other way around in crinmal cases. Vigilante justice is far, far worse. Zimmermann defend himself against a violent, drug abusing, muscular thug - and maybe they make some kind of 'killing' charges stick? Amazing how you just won't get it. HE does not have to proof ANYTHING. The prosecution has to. They have to prove he killed someone. Didn't we do that already? If you ignore all the ideological or racist crap surrounding the case, the legal position is that Zimmerman is in a deep, deep hole and there's no way out. Many seem to have been caught up in the insanity field created by a snarling, angry mob of NRA blowhards who would rather teenage kids are executed at will than there be even a suggestion that guns are dangerous and need to be more tightly controlled. The law sees things rather differently. He admitted he shot him, the prosecution has to make a case that it was actually an unlawful killing, i.e. murder, manslaughter, etc. This has nothing to do with ideologies, justice should not care for that. As far as I'm concerned he can be the most racist dude on the face f the earth, if he really acted in self defense he must be acquitted. But he has to prove that. Look, here's how it goes. Prosecution points out that Trayvon was not skulking around with criminal intent he was an innocent kid on his way home from a local shop. They explain how Zimmerman failed to follow neighbourhood watch protocol by carrying a gun and confronting the "suspect" (despite being told not to do so by the police). They point out that Zimmerman didn't think his own story was believable enough to try for a waiver. So, now it's the defence's turn. Bravely, they try to promote the witness evidence which supports Zimmerman's view and dismiss the evidence which doesn't but no matter how hard they try they can't get their head above water. The facts are sketchy and disputed. There is no clear, convincing proof to back up Zimmerman's story. The last chance saloon is when Zimmerman takes the stand. Anyone, even the most hardened criminal, has a chance to impress the jury with a terrific performance. Zimmerman is not that man. He's not smart enough to avoid ambushes when questioned by the prosecution, although of course he will be coached and that might be enough. His big problem though is that the funding affair, and the lack of serious injuries (minor scratches and a bash on the nose), and a host of other details combine to make him look less than credible. That's all there is. Game over. Guilty. His defense team knows this and they'll want to plea bargain. I'm not sure if that will be accepted by the prosecution though. For one thing, they don't need to bargain plus it's a high profile case: a festering boil which can only be lanced if justice is done and seen to be done. A public trial is better. Like a broken nose and bloody head? HE NEVER PULLED THE GUN UNTIL AFTER BEING ATTACKED AND NEARLY KILLED BY MARTIN. Jesus tap dancing christ. Get the facts straight, or I'll just call you mcgruff jr.
A disputed report from the family doctor of a "closed" fracture - not really what you'd call a broken nose. That is enough to secure a conviction. no, it is not. Because it is legal to run arround your own, walled neighbourhood carrying a gun. Or at least where Zimmermann used to live. Also there was a series of burglaries and Trayvon was not a member of that neighbourhood. So suspicion was in order. It wasn't Zimmermann's fault that Trayvon was indeed a criminal thug. And it was not Zimmermann's fault that Trayvon jumped him and severely injured him. At that point self defense comes in. Someone attacks you and (from your point of view) tries to kill you? Well, the kid's gloves come off and the perpetrator goes down. Just because the media tried to make Trayvon look like a 12 year old, weak, innocent victim, while he was a big, strong, athlete with a drug problem who strolled around a neighbourhood he did not belong and almost beat a man to death just for looking at him wrong does not turn the real victim (Zimmermann) into a criminal. It boils down to this: thug attacks and severely injures man. Man shoots thug in self defense. Without the media rucus this would have never gone so far. In fact, Zimmerman should have got a medal. And yes, I just realized that Zimmerman is written with one n. Blow me. So you want to take the bet? I don't bet on court decisions. Especially american courts. facts according to whom? the defendant? They never lie. again, we have a guy in a car with a gun. he got out of the car specifically to confront an unarmed person and that person ended up dead. Remind me who the victim is? again, i think zimmerman is less to blame then american gun nut culture. are you telling me that a guy with a gun got attacked by someone he was confronting? don't you encourage that stuff in america? how did martin know he wasn't a mugger? did this guy have a neighbourhood watch badge? it all stinks. the victim didn't have a gun. Clearly, he should have. the witnesses who say that Zimmerman was attacked first? read carefully. in the article you posted, the witness does NOT claim that. the witness said that martin (the black man) was punching zimmerman. He has no idea who started it. For all we know (from that witness) zimmerman attacked martin, then martin briefly go the upper and then zimmerman shot martin. Martin certainly didn't walk up to the car, drag zimmerman out of the car and start punching him. According to Zimmerman, he was returning to his vehicle when he was confronted and attacked by a person bigger than himself. His nose was broken (see pic I posted above) and he had the back of his head pounded multiple times against the sidewalk while Martin was on top of him. After screaming for help (witnessed by neighbors), and fearing for his life, he pulled the gun and killed his attacker. This has been sensationalism from the very beginning, perpetrated by the usual racist suspects. There are a handful of Trayvon Martins killed every day in Detroit and Chicago; the only difference is that it is also a bunch of Trayvon Martins pulling the triggers. Martin was a punk, it is too bad that his actions led to his death. He might have matured and changed his life around. no, he did not drag him out of the car. But he did follow him, when Zimmerman was walking back to his car and attacked him. don't care. he is the defendant. as far as there is strong evidence for, before the altercation he was it seems a pot user. frankly, that probably includes most of us. it is your laws and culture that makes it ok for an armed man to get out his car, walk up to an unarmed man who, as zimmerman admits, wasn't doing anything illegal, and the whole thing end up with the unarmed man dead. does that make sense? does "stand your ground" make sense in light of this? 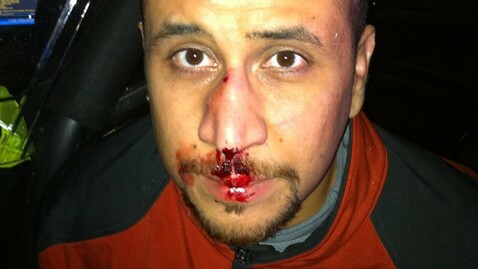 zimmerman was even advised not to get out of his vehicle by the police. I am not saying that Martin didn't start the physical altercation. but the whole situation was brought on by this idiotic cowboy mentality.